Marjorie Weinstock, Ph.D. is the Lead, Military Families & CBT for Depression at the Center for Deployment Psychology (CDP) at the Uniformed Services University of the Health Sciences in Bethesda, Maryland. She joined the CDP in 2009 as a deployment behavioral health psychologist at the Naval Medical Center San Diego. Prior to joining the CDP, Dr. Weinstock spent three years working for the Navy’s Fleet & Family Support Program, where she provided counseling services to military members and their families. Dr. Weinstock is a graduate of Emory University and received her doctorate in Counseling Psychology from the State University of New York-Buffalo. She completed her internship at the Brockton, Massachusetts VA Medical Center and a two-year postdoctoral fellowship in clinical research and addictive disorders at the Brown University Training Consortium. As a military spouse, Dr. Weinstock has a first-hand understanding of the demands of military service on the family. Her professional interests include deployment related mental health issues, the assessment and treatment of PTSD and depression, and the impact of military life on the family. 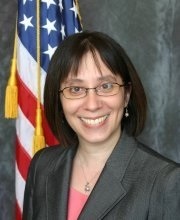 Financial: Marjorie Weinstock is employed by Center for Deployment Psychology. Non-financial: Marjorie Weinstock has no relevant non-financial relationships to disclose.